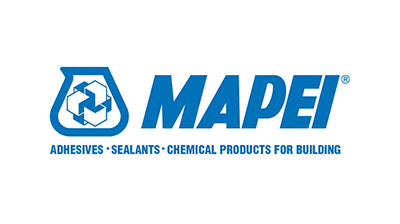 Over the past 75 years, one branch of MAPEI has developed into a worldwide leader in the manufacture of total systems for the installation of floor coverings in commercial and residential construction. Our surface preparation products condition floors and walls for the optimal installation of tile, carpet, wood, vinyl and decorative concrete. Our installation products include mortars, grouts, adhesives and admixtures that ensure customers’ satisfaction with any floor covering they choose. Innovative new products developed by our R&D Department continually keep MAPEI well-positioned in the minds of professional contractors and do-it-yourselfers.